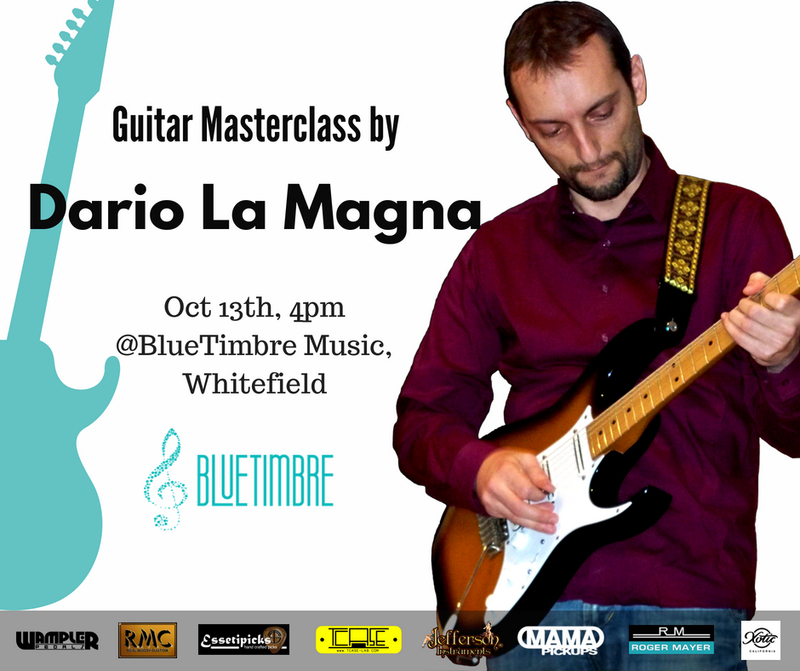 BlueTimbre proudly presents a Guitar MasterClass by Dario La Magna, a renowned Guitarist from Italy. In brief, Dario’s story is an inspirational one. He is a self-taught guitarist, who was inspired by idols such as Andy Timmons, Steve Vai, Paul Gilbert and many more. He attended masterclasses under them to learn and develop his knowledge of the guitar. He then went on to play and perform with his bands and eventually opened shows for his legends. Today Dario is working on his new album ‘Angels’ that is being recorded with his legends – Andy Timmons, Paul Gilbert, Thomas Lang, Michael Medina and others. Here’s a glimpse of what will be covered in his masterclass.